Home » Leaf of the Week » Cheba Hut: The Munchie Cure for Sure! 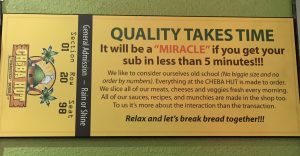 Cheba Hut: The Munchie Cure for Sure! If you’ve been on college hill in Boulder, you’ve probably seen the sign that reads: Cheba Hut “Toasted Subs”. You don’t have to be a college student to delight in this fresh approach to made to-0rder sandwiches “where the only thing fried is the occasional customer.” With shops in Colorado, Arizona, California Oregon, New Mexico and Wisconsin, Cheba Hut embraces the local communities in which they serve. Weed-themed Sandwiches: You’ll have fun just reading the Cheba Hut menu filled with references to the canna-verse vernacular. Each sandwich starts with signature proprietary Parisian hand-rolled bread roll with three sizes: the 4″ Nug, the 8″ Pinner, or the 12″ Blunt. From here the creativity begins. Whatever you crave, chances are they’ve built it into one of their 30 signature sandwiches. Ask about the secret stash concoctions created by the crew, their combinations are crazy delicious. Cotton Mouth Cures: With the munchies, comes the inevitable cotton mouth. They offer many of the traditional fountain drinks, iced tea, and a nostalgic favorite, Kool-Aid! Most Cheba Huts offer local beers and spirits, bringing the community collective to the hut, one libation at a time. Munchies Moods: Whether it is something sweet or salty, the Munchies menu will surely satisfy. This appetizer/dessert menu ranges from Rice Krispie Bars to a Bowl O’Balls and everything in between. All items are handcrafted with the freshest ingredients available locally. Oh yes, you will giggle, laugh, and forget what you’re here for…the staff will gently remind you. The interior is fun, funky, and photo worthy for you and your friends. Take home a mailable menu and send to a friend back home and remind them to escape the establishment and eat freedom. Find your freedom at @ChebaHutSubs, where the food is fresh and the vibe is harmonious. 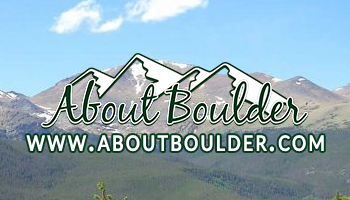 Check them out locally at 1313 College Ave. Boulder, CO or go to their website for an online menu and ordering options. If you’re lucky enough to visit the Dillion, CO Cheba Hut, spend $25 and receive a free joint from Native Roots. Peace, Love, and the Power of Cannabis. Cannabis products are for adults 21 years and older. Please consume responsibly. 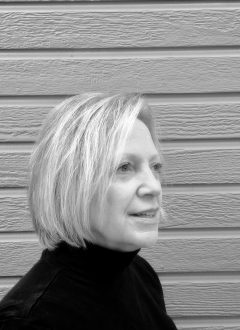 Lori Malcolm hails from a mountain town in western Maryland where she studied marketing, at Frostburg State University. She left a career in sales and sold her home to discover America from the front seat of her Subaru. After 48 states and 30 National Parks, Colorado was her first choice to call home. After her two year journey, Lori settled in Boulder County and rekindled an old passion with cannabis. Her affinity with the ancient plant intensified after watching her husband suffer from the debilitating impact of rheumatoid arthritis and then seeing the incredible results of CBD tinctures to his continued recovery. Lori currently works as a content writer and a cannabis trimmer. 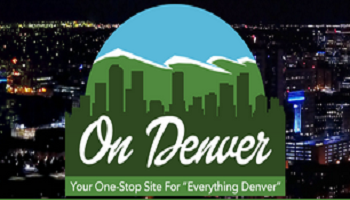 As an outdoor enthusiast, Lori enjoys all things Colorado, like hiking a 14'er or snowshoeing the high county. As a perpetual traveler, she looks forward to her next adventure, wherever it may take her. She and her husband reside in Lafayette, CO along with their two cats, Sage and Meadow.